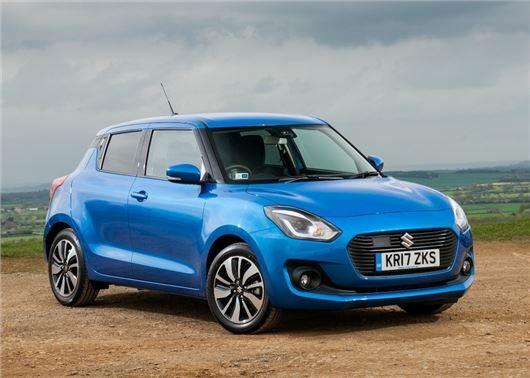 Suzuki has confirmed the pricing and specs of the all-new Swift. The next-gen hatchback will be lighter and more efficient than before and get the choice of petrol or hybrid powertrains. Prices will start from £10,999 when the 2017 Swift goes on sale in June. The 2017 Suzuki Swift will be limited to five-door only - the three-door bodystyle won't be offered in the UK - but the new model will be more spacious and get a larger boot and significantly more head and legroom in the front and back. At 3.8 metres long, the new Swift is 10mm shorter than the outgoing model, while its wheelbase is 20mm longer, creating more interior room including 25 per cent more boot capacity at 265 litres. Standard equipment for the base models will be high, with alloy wheels, air con, electric windows and rear privacy glass all included as standard. Two engines will be available – the 1.2-litre 90PS DualJet petrol, from the existing Swift and the 1.0-litre 111PS BoosterJet petrol, also offered in the Baleno. The 1.0-litre engine will be available with Suzuki’s SHVS hybrid system, which provides a mild economy boost and four-wheel drive. Economy for the 90PS four-cylinder litre petrol will peak at 65.7mpg, while the 111PS three-cylinder will return an official 65.7mpg. The 1.2 unit will be limited to a five-speed transmission, while the 1.0 engine will get the choice of the manual or a five-speed automatic. An underrated car but why is the auto option so expensive? - nearly 3 grand more than the manual with the same engine. Would be near the top of my list otherwise. I'm really looking forward to the Sport model, but the price of the standard models seem to have jumped so much that I dread how much the Sport will eventually cost. At more mainstream price levels, the Swift's shortcomings will be harder to ignore (i.e. the cheap looking materials used for the interior). Maybe a future item for the honestjohn website in the near future could be an article on price car inflation as so many recent replacement models seem to have dramatically jumped in price.